Myocil Liniment Massage oil enhances the muscle movement, helps in maintaining muscle structure and reducing muscle stiffness. Joint pain can occur at any age. To get rid of the debilitating pain, you can apply Myocil Liniment Massage Oil to the affected joints, for relief. 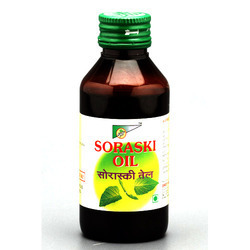 We manufactures and supplies Herbal Medicinal Oil across India. We offer Narayana Taila to our clients. - A herbal oil clinically proven to give excellent results in case of Sleeplessness. - Relieves stress, strain and anxiety. - Nidra has a soothing demulcent effect on the CNS. - This formulation Contains - Tender cocounut, water, Liquorice, Vetiver, sandal wood, cow’s milk. PUNNAI oil is extracted from fine quality seeds of the Calophyllum Inophyllum tree. - Punnai is used specifically for treating skin diseases & it is said to alleviate pain. - It is touted as a natural remedy for acne, eczema, psoriasis. 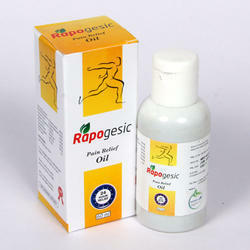 - It is also applied topically in cases of rheumatism, sciatica, shingles. - It reduces stretch marks, scars and regenerates the skin. Rich in anti-inflammatory properties, these products helps in eliminating the accumulation of toxins in the body, which is the root cause of any inflammatory condition. The powerful antioxidant properties of these products aid in detoxifying the blood and improve its circulation in the affected area.